Searching for a luxury crossover SUV without stretching your budget? You can’t go wrong with a certified pre-owned Acura RDX! Take a look at our inventory of CPO RDX models at Mile High Acura, then schedule a test drive to experience a certified pre-owned Acura in person! CARFAX One-Owner. Reviews: * Strong acceleration and fuel economy from standard V6 engine; high-mounted rear seat provides generous legroom and a commanding view; more standard features than most competitors; price; generous cargo capacity for the segment. Source: Edmunds Located in Denver CO, and also serving Aurora, Parker, Highlands Ranch, Castle Rock, Littleton, Lakewood, Englewood, Lone Tree, Boulder, Colorado Springs, Fort Collins, Centennial, and Golden. All prices include Dealer and Handling of $599. CARFAX One-Owner. Clean CARFAX. Reviews: * Strong acceleration and fuel economy from standard V6 engine; high-mounted rear seat provides generous legroom and a commanding view; more standard features than most competitors; price; generous cargo capacity for the segment. Source: Edmunds Located in Denver CO, and also serving Aurora, Parker, Highlands Ranch, Castle Rock, Littleton, Lakewood, Englewood, Lone Tree, Boulder, Colorado Springs, Fort Collins, Centennial, and Golden. All prices include Dealer and Handling of $599. New Price! CARFAX One-Owner. Clean CARFAX. CERTIFIED, CLEAN CARFAX, LEATHER, NAVIGATION/GPS/NAV, ONE OWNER, SUNROOF/MOONROOF, LOW MILES!, 4D Sport Utility, AWD, Ebony w/Perforated Leather-Trimmed Interior. Acura Certified Pre-Owned Details: * Limited Warranty: 12 Month/12,000 Mile (whichever comes first) after new car warranty expires or from certified purchase date * Transferable Warranty * Powertrain Limited Warranty: 84 Month/100,000 Mile (whichever comes first) from original in-service date * Includes Trip Interruption and Concierge Services * Warranty Deductible: $0 * Vehicle History * Roadside Assistance * 182 Point Inspection Located in Denver CO, and also serving Aurora, Parker, Highlands Ranch, Castle Rock, Littleton, Lakewood, Englewood, Lone Tree, Boulder, Colorado Springs, Fort Collins, Centennial, and Golden. All prices include Dealer and Handling of $599. 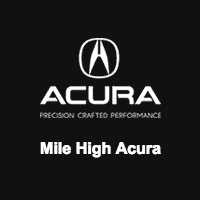 After you’ve decided which certified pre-owned Acura RDX model fits your needs, don’t hesitate to reach out to our experts at the Mile High Acura finance center to go over all your CPO benefits and options!